Welcome to OZO. We embrace our coffee with about as much passion, dedication, and prowess as humanly possible! Our highly skilled Baristas know their craft and aim to please with every pour. The responsibility we assume as the final courier of the bean is taken seriously. 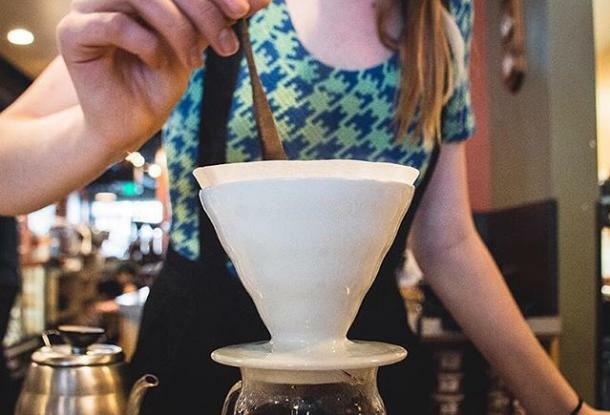 Whether you order a house special, Bhakti chai, or a cup of Organic OZO Blend drip coffee, we guarantee your satisfaction that every drink from our shop is of the highest quality and taste. OZO Coffee was a recent winner in the coffee category at the 2018 Good Food Awards in San Francisco! The OZO Coffee Lab is also one of 40 Certified SCA (Specialty Coffee Association) Training Campuses in the country! Contact Les Helbak at 303.551.4513 to arrange a tour of the OZO Roastery and Lab!